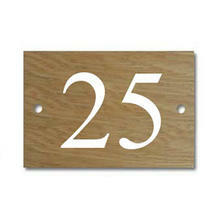 Simple, natural wooden house number signs. 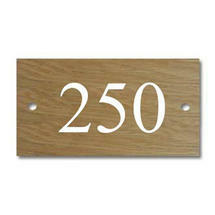 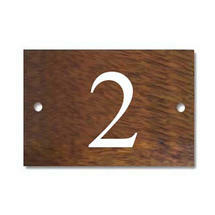 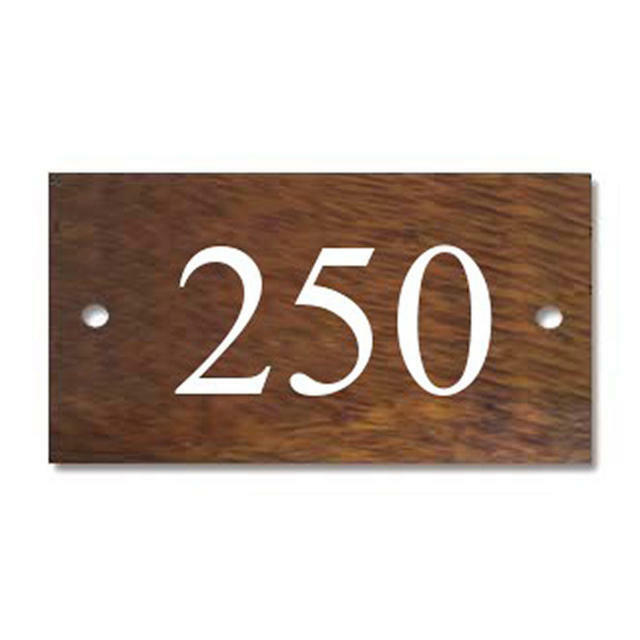 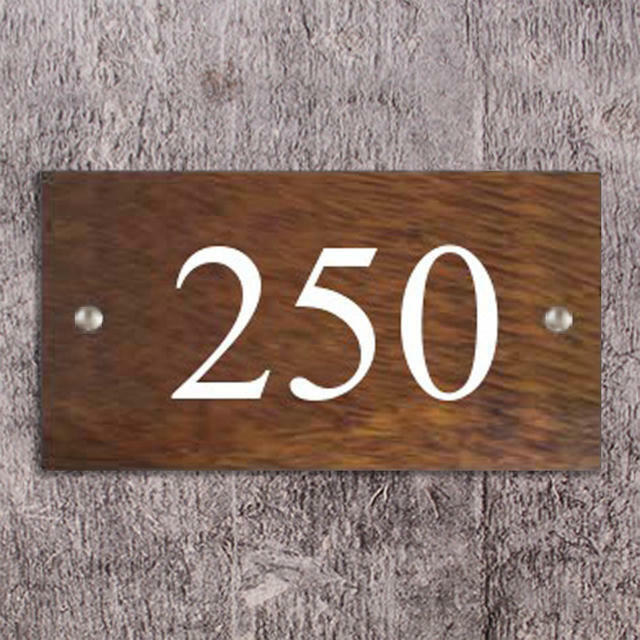 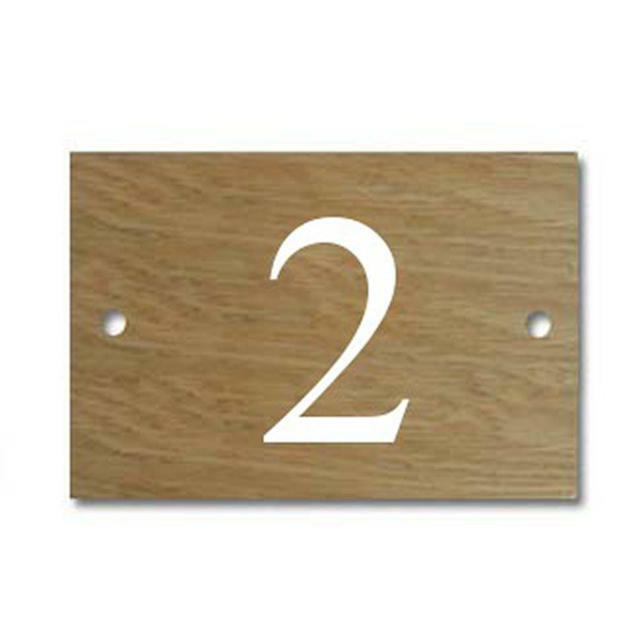 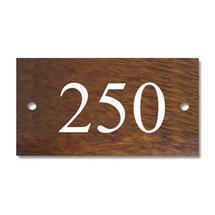 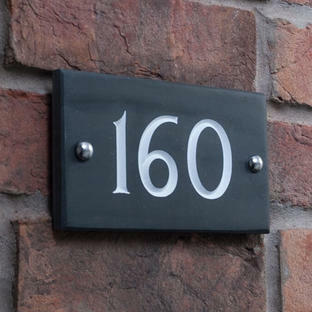 These solid wood house number signs will give a natural style to your house sign and house entrance. 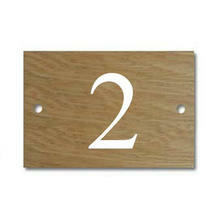 Choose from 1 of 2 woods, either light Oak or dark Iroko wood, both are finished with a clear varnish. 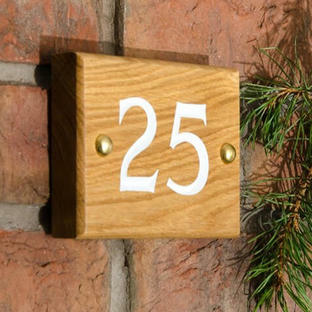 Your number will be engraved into the wood using traditional v-carve techniques and then the infill painted by hand in your choice of one of three colours. The V-carve font is available in uppercase (capital) letters only. 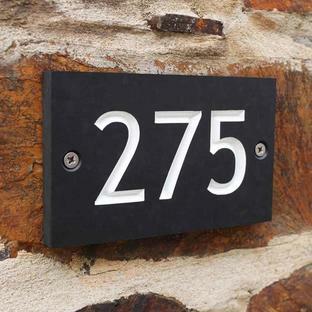 Therefore should you require a letter for example on a three digit house number such as 22A, this will be shown in uppercase only. 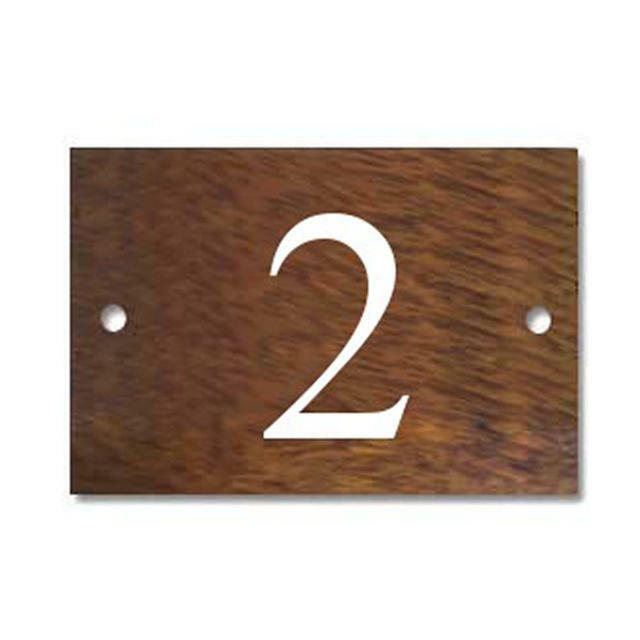 House number required on line 2.